15 budget friendly bridal perfumes - Fragrances for your big day! 15 budget friendly bridal perfumes – Fragrances for your big day! Every bride wishes to make a scentsational impression on her big day. This can be accomplished by the perfect wedding perfume. A budget friendly bridal perfume from prestigious brands can allow any bride to get a royal feel on her big day. The bridal perfumes assure to stay you romantic throughout your big day. You will also love the product even after completing years of marriage. This type of perfume let you gain pleasure and confidence on your big day with your groom. Let’s have a look at these bridal perfumes that suit your budget and make your big day even more special. How to choose the perfect fragrances for your Big Day? Generally, the fragrance lasts for four to six hours, but there are many best wedding day perfume which can last for a few more hours. Choose those with more lasting time, to let your fragrance please you and your groom for the major part of the day. Based on the fragrance family, it is known that an oriental would typically last longer than a fresh. This is because the base notes are usually long-lasting. While choosing perfumes to wear on your wedding day, the weather is one of the crucial aspects to consider. If it is warm, there is a need to spray a little more because perfume would faint quickly in hot season. During summer wedding, fruity and floral type of fragrance work fine because they stay light and let you keep refreshing the whole day. In case your wedding is during winter, go for a slightly warmer scent consisting of ingredients like amber and chocolate; you can go for sensual and sultry scents. Every bride wishes to add a royal touch to her big day, so she should make sure that book her ‘fragrance fitting’ with her groom. This help to make quick and better choice of the fragrance because the fragrance choice will cherish the couple throughout the big day. This delightful perfume proves to be a classic and pure fragrance that provides optimism and beauty, while you make an incredible commitment to your love on your big day. It is basically a budget friendly bridal perfume that contains tones of jasmine and soft white violets, packed with a blend of sandalwood and wild berries. The perfume comes with top notes: of Violet Leaf, Strawberry, and Blood Grapefruit. The middle notes are Violet, Jasmine, and Gardenia, whereas the base notes are Musk, Vanilla, and White Woods. Marc Jacobs Daisy EDT has a heart of gardenia and jasmine which leads to a wonderful dry down of aesthetic vanilla and sandalwood. It is found that the romance in this perfume is contrasted towards the love and allusions of seduction, and these help you feel unique on your big day. Marc Jacobs Daisy EDT comes at the price of £43.99. The perfume is another long lasting perfume for a wedding day, prepared from the high-quality material. It is good for the wedding because it evokes the feeling of walking through a blossoming garden. This beautiful, rose-based perfume is floral and fresh, without any sickly sweetness. You can perceive that the perfume comes with notes of amber musk, bergamot, rose, and magnolia blend wonderfully and subtly, which makes this fragrance an immediate classic. It comes at a price of £37.05. If you are looking for a perfume with hints of flowers to convey romantic feeling on your big day, try this perfume. You can consider it as one of the best perfumes for your big day because the product is designed to convey you to a tranquil garden brimming with dazzling flowers. Ingredients used in the perfume are a blend of tuberose, jasmine, and a Rangoon creeper. It is budget friendly as you only need to spend £40.99 to get it. The tagline of this perfume: ‘what would you do for love?’ itself arouses romance in your big day. Recognized to radiate femininity and convey the feeling of passion, romance, and freedom, these qualities make the product a special one for your wedding. It comes with a fresh smell, which is raging with floral notes of fresh Calabrian bergamot, Grasse rose, rosewood and pink pepper. This helps to embody the feeling of falling head over heels in romance. You can have it at £54.99. 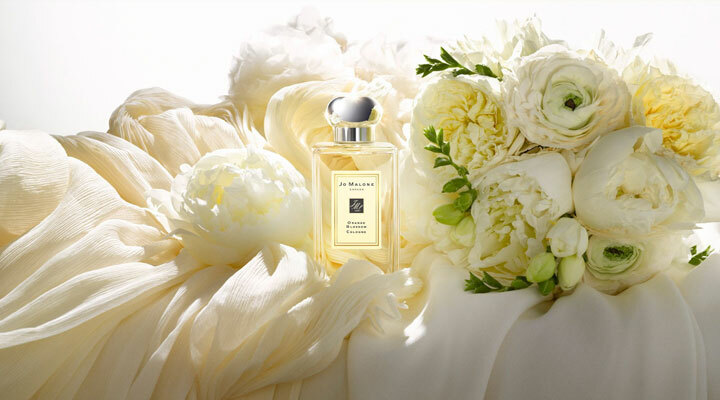 The heart of this long-lasting perfume for a wedding day is jasmine, lily, and tuberose. It comes with base notes of musk, patchouli, and vanilla, whereas the opening notes are plum and Artemisia. It is best to wear on your big day because it is sweet, soft, and feminine. High-quality materials are used in its manufacture and it conveys a romantic wear. It comes at the price of £54.99. This budget friendly bridal perfume is a kind of oriental woody scent. It is known that the spicy notes of Maninka fruit, ginger, leather and lavender accords are combined to yield a lasting and sensual smell. You can feel that it is enriched with fruit mixed with the tones of Lavender at the heart. Moreover, in the base, strong notes of Leather lingers leaves a trail of romance. The perfume exudes a glow of femininity and confidence. It comes at a price of £37.99. Recognized as a solar oriental fragrance, this budget friendly bridal perfume reveals notes spread out in a practical game of sultriness and freshness. It is best to wear on the wedding day because of its excellent base notes and top notes. The perfume is packed with alluring top notes of raw salt, black, pink, and white pepper. It comes with base notes of Cashmeran, Sandalwood, and Musk. You can have it at £34.94. Blending powdery notes of iris with delectable gourmand ingredients such as pear and praline, this perfume is intended to yield fragrance for a long time. It is regarded as an ultra-feminine scent with qualities like innocence and beauty. These qualities make it perfect for your bid day. Its scent notes begin with a fruity blast of black currant and pear, bounded by orange blossom, iris, jasmine, and elegant rose. You can buy it at a price of £64.16. If you are looking for a budget friendly bridal perfume with all the ingredients of high quality, then go for this product. The perfume is balanced with Sicilian bergamot and foggy sandalwood, making your big day even more special. It is special to have it on your wedding day because it stuffs your nose into a bouquet of a 1000 jasmine flowers. Because of its unique qualities, you have to pay a little more, i.e. £122.38 to buy it. This is a new fragrance from the brand which has the vibrancy that originates with fruity and sweet, fragrances; however, it also maintains adult sophistication. It is found that the top notes are punch, pear, and Mandar; middle notes are orange blossom, honeysuckle, and peach; base notes are vanilla, honey, and woodsy notes. Its bottles itself is adorable which captures your attention while buying. The price it comes at is £43.03. Colette is a feminine fragrance with a seductive combination of lemon, mandarin, violet and juniper berry, warm vanilla and sandalwood. The reason why to wear it on your big day is the fragrance is bit mysterious, with an alluring warmth and sweetness, making an epitome of romance. It comes with notes of Mandarin, Bergamot, Juniper Berry, Lemon, Jasmine, Pink Peppercorn, Cyclamen, Violet, Incense, Pine Needles, Sandalwood, Musk, Vanilla, Amber, and Cedarwood. You can buy it at £54.72. The floral fragrance budget friendly bridal perfume comes with a combination of bergamot, lime, neroli, fern, jasmine, narcissus, lily of the valley, magnolia, and violet leaf notes. Its fragrance is enriched with notes of neroli, linden blossom, jasmine, and magnolia. It is assured that the perfume’s contemporary timelessness stays in its delicacy; it would not overpower. This is the perfume that is capable to float with you through your big day as if you were walking on the air. It comes at a price of £41.8. If you are looking to have a smoky spice, go for this budget friendly bridal perfume because it has depth and a hint of the same. The blend of oak wood, vanilla bourbon, and tuberose is completely unexpected and quite fascinating as well. This elegant fragrance is perfect for a wedding ceremony held under oak trees and blue clear skies. It is also suitable for a reception held in an old barn strung with blinking lights. It comes at a price of £49.4. Classified as a refined fragrance, this budget friendly bridal perfume incorporates the beautiful fragrance at an affordable price. This gentle fragrance with womanly scent comes with a blend of modern floral, as well as balanced notes. Chanel No 5 is more recommended for evening wear. Its top notes are Ylang-Ylang, Aldehydes, and Neroli; middle notes are May, Jasmine, and Rose. The base notes are Vetiver and Sandalwood. You can have it at £95. What makes this bridal perfume unique is the blend of Tonka Bean, Vanilla, and Rich Heliotrope. Its fragrance notes are a fresh blend of Tonka bean and Madagascar vanilla. Essential oils and botanicals like the antioxidants present in goji berries and Kakadu plums are used as the essential elements. These elements will pamper your body while you wear for your big day. Its vanilla blend is simple and deeply reminiscent, pairing wonderfully with candlelight. It comes at a price of £19.75. The discussed bridal perfumes come with enchanting fragrance with the extra element of romance. Based on your preference on fragrance and budget, you can have any one of these long lasting perfume for wedding day to cherish the special moments.